IGFA Representative Steven Yatomi has worked with the Apoteri village--a community in the Upper Takutu-Upper Essequibo Region of Guyana-- to develop sustainable fishing eco-tourism. 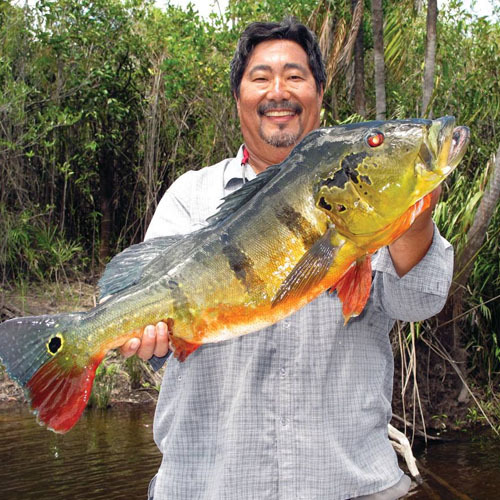 His efforts have boosted village income by $348,000, created fishing careers for villagers--both youth and adult--and resulted in five IGFA fly-fishing world records. Yatomi spent 200 days in the village over the past year where he oversaw the establishment of a fly-fishing-only zone and the anticipated creation of between 70 and 100 jobs, including monitoring the valuable arapaima and its habitat. He could use some volunteers to keep the momentum going.